"Welcome Home." Not your typical Bali greeting, but then Katamama isn't your typical Bali hotel. Contrasting this warm welcome is the hotel's startlingly austere exterior - all juxtaposing angles and moody ochre shades courtesy of the 1.5 million handmade bricks which make up its brutalist facade. But once inside the true beauty of Katamama is revealed as light and shadow fight for attention in the long breezeways, and the moody art deco interiors provide cool reprieve from the island humidity. 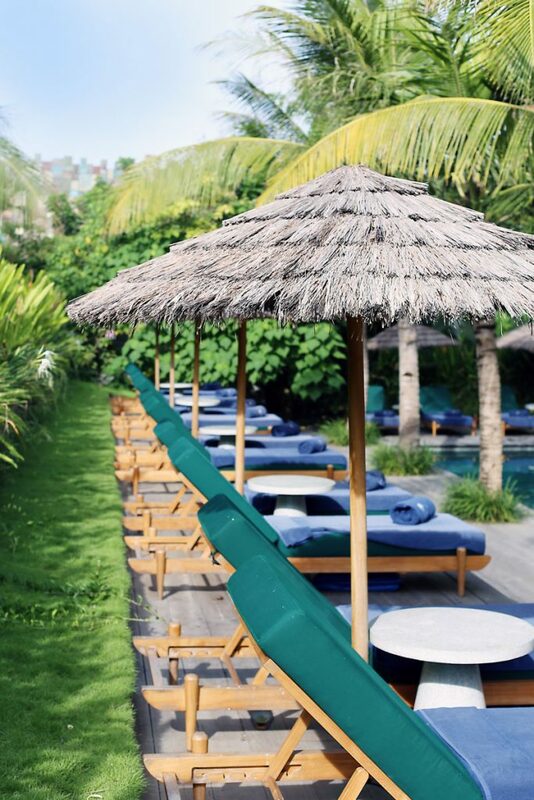 Wrapped in a jungle like garden Katamama is quite possibly the most unexpected addition to Seminyak's oversaturated hotel market; a place where all things 'hotel' have been eschewed and in turn heralded the arrival of an ultra-hip-yet-homely boutique concept. Gone are protracted check-ins, reception desks - hell, there isn't even a lobby. Instead, you're met at the hotel bar and whisked on to your room by a tablet-wielding hipster and in mere moments a fresh mojito is conjured up via a generously stocked in-room maxibar. A welcome home indeed. Located within arms reach of their sister property Potato Head, there's endless options on site to satisfy pleasure seekers of any flavour. From Spain-via-Melbourne staple MoVida, to cult-status raw cafe Alchemy, there's honestly no need to leave the hotel surrounds - and thus we kept to our 100m radius and happily lazed away between poolside cocktails, on-point tapas and Melbourne-standard coffees. We opted for more traditional fare for dinner at the beautifully styled KAUM restaurant upstairs from Potato Head. 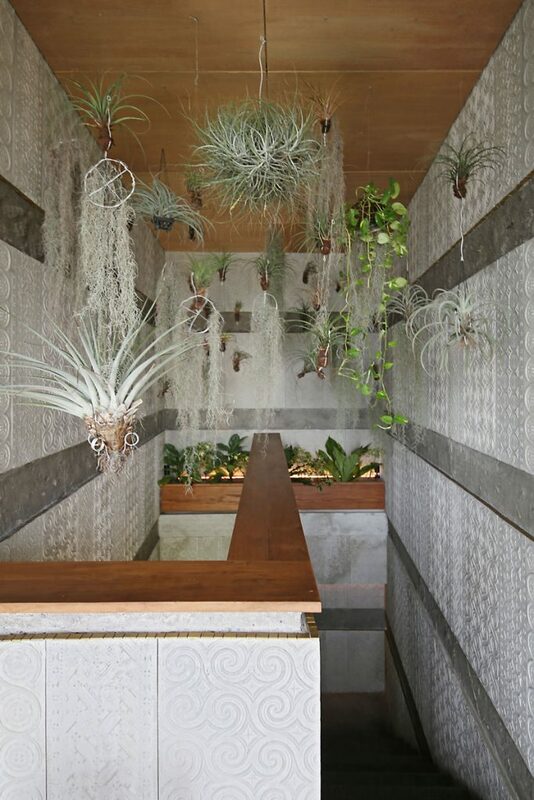 Like all elements of this impressive complex, design details abound boasting pressed concrete walls and a sky full of ambitiously trailing air plants. KAUM's menu is a refreshing change of pace from Seminyak's competitively hip food scene, offering an adept and authentic Balinese menu. Without doubt Katamama's most striking feature is its commitment to enabling local makers and sustaining traditional artisanship. Amongst the Bernard-Albin lamps and Thonet chairs you'll find locally made bathrobes, hand dyed & woven indigo throws, and artisanal ceramic objet. Wrapped in its armour of aforementioned hand pressed temple bricks, every aspect of Katamama is seeped in long-held Balinese traditions, served up in a most refreshingly untraditional experience. 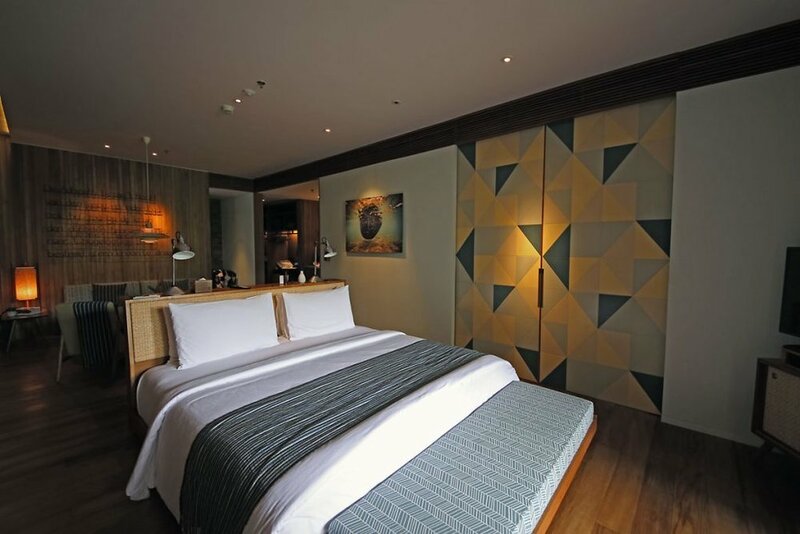 A must-stay for architecture addicts, ethical warriors and style mavens seeking out Seminyak's hottest address. Book your stay at Katamama through our stylish friends at Mr & Mrs Smith - best price guaranteed and the usual Smithy extra, with priority day-bed booking at Potato Head and a 4pm check out!